On November 13, 1,500 angry auto workers stopped work and staged a sit-in at the Renault factory in Bursa in north eastern Turkey. What made this action notable was that the protest was aimed primarily against their officially recognized union, Türk Metal (Union of Metal, Steel, Ammunition, Machinery, Automobile and Related Industry Workers of Turkey). The corrupt officials of Türk Metal had just initialled an agreement with management that completely ignored the demands of the workers. The protest, which took place in front of the management offices of the factory, where the Türk Metal union maintains its own office, was the final straw for workers who have seen their wages and working conditions steadily deteriorate over the past two decades. According to reports from the scene a total of 5,000 workers rejected the proposal made by the Turkish Metal Workers Union, citing poor working conditions and inadequate wages that have come on top of a series of wages cuts in previous years. "The union must resign," chanted hundreds of workers on Monday night. Their protests went on past midnight. Turkish Renault (Oyak-Renault Otomobil Fabrikaları inc.), the second largest automobile manufacturer in Turkey is jointly owned by Oyak (Turkish Armed Forces Pension Fund) and Renault with Oyak owning 49% and Renault owning 51% of the company. The Oyak-Renault workers were furious that they had not been consulted before the union reached the proposed deal with management in advance of a scheduled round of collective bargaining. The union leadership blatantly disregarded promises they made to the membership. Instead, after weeks of secret negotiations behind the backs of rank and file workers, Türk Metal officials finally presented an agreement to the membership that gave management everything they wanted. The protesting workers demanded that a notary public come to the factory so that they can begin the legal process of leaving the Türk Metal union and join the United Metalworkers’ Union (Birlesik Metal-İs). The Türk Metal union is a member of Türk-İş, one of the three largest trade union confederations in Turkey. Birleşik-Metal, a rival trade union tied to the Confederation of Progressive Trade Unions (DİSK), has been trying to unionize at the plant as well. Onerous anti-labor laws in Turkey mandate an extremely difficult and expensive legal process to leave a union and join a rival organization. Workers are required to go to a notary public, complete five copies of a detailed form, and pay a fee that is often equivalent to several days pay. 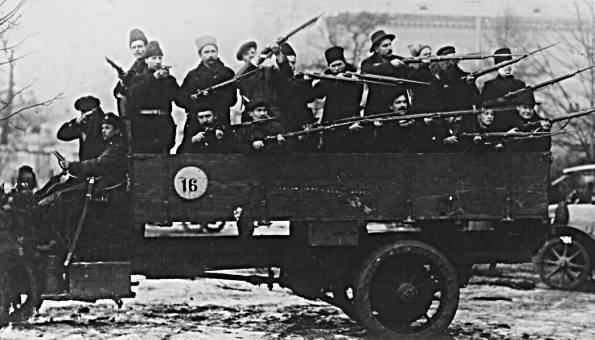 In response to the auto workers’ revolt against Türk Metal, private security guards employed by Oyak-Renault, were joined by members of the Turkish fascist movement and police in a blockade of the factory. The fascists attacked a group of workers from the nearby BOSCH factory who came to the protest to show their solidarity with the workers of the Oyak-Renault factory. 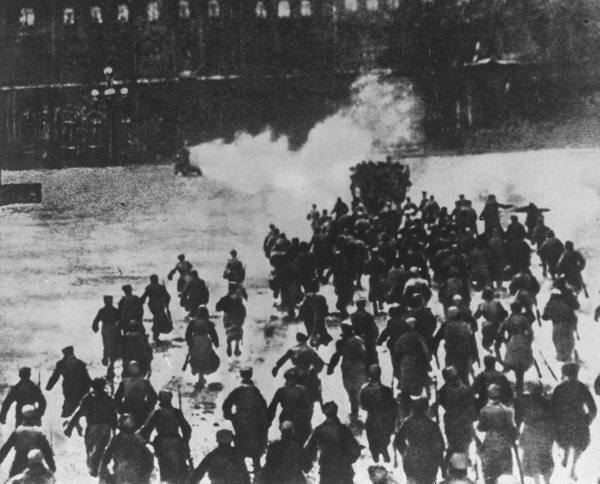 The fascists also attacked journalists affiliated with left-wing media organizations. Three workers suffered severe injuries at the hands of the fascist thugs and had to be hospitalized. The BOSCH workers recognized their kinship with the Oyak-Renault workers for they had initiated a similar action earlier this year aimed against the same corrupt union. Eight months ago, on March 14, 2012, 75 percent of the 6,000 workers at the BOSCH plant resigned en masse from Türk Metal. BOSCH Turkey employs more than 10,000 workers in Turkey in total, and its Bursa plant also acts as a BOSCH’s global automotive research and development centre. Türk Metal has long had close relations with the fascist movement in Turkey. The logo of the union features the figure of a wolf as its symbol, drawing from an ancient pre-Islamic Turkish totem. The same figure has long been a common symbol of the Turkish fascist movement (popularly known as the “Grey Wolves). Türk Metal is an extension of the Milli-İs (an affiliate of the then tiny fascist union confederation MISK) union, which was established in 1970 as an offensive weapon against the Federation of Revolutionary Workers’ Unions (DISK). A little historical background is required to understand the anger of these workers. Up to the end of 1990s auto workers used to enjoy relatively high wages in Bursa, although even then they were subjected to a ruthless working regime in their factories. But in the last twenty years the conditions of the auto workers have steadily deteriorated, a direct result of increasing global competition and the world-wide economic downturn. Most recently auto workers experienced an 11 percent loss in real wages since 2009 as a result of concessions made by Türk Metal. This follows a pattern over the past two decades where, with the crucial assistance of the Türk Metal bureaucracy auto manufacturers were able to implement systematic reductions in operating times and considerable increases in workloads. 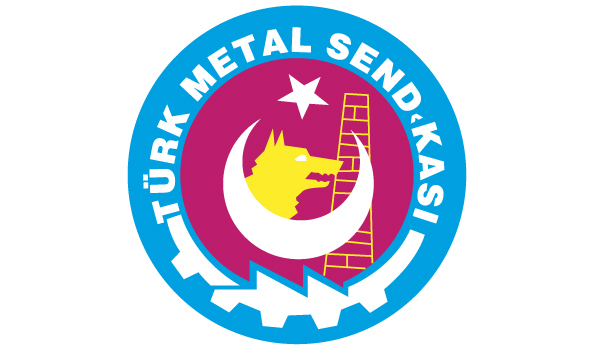 Throughout the 1990s Türk Metal collaborated with employers regarding the introduction of the so-called Quality Circles and other similar working practices with the aim of maintaining profit margins by increasing the exploitation of the workers. The first year of the new century (February 2001) ushered in the most severe economic crisis Turkish capitalism has experienced in its modern history. This downturn was not just a Turkish phenomenon, but in the final analyses a product of the most recent trends of the world capitalist system. In response to the prolonged crisis of Turkish capitalism, the bourgeoisie reacted by squeezing the working class. The first wave of attacks on living standards in the 1990’s were primarily based on the imposition of flexible work practices. The second wave, starting in 2001, was based on cutting real wages. Altogether this systematic increase in the rate of exploitation of workers drove down their conditions of life significantly from what they had been twenty years ago. Throughout this period, the ability of the Türk Metal bureaucracy to stifle explosive reactions from the workers they nominally represented was severely undermined. The results were several explosions aimed not only against the employers but against the treacherous Türk Metal bureaucracy. One such incident occurred in April 2009, when Türk Metal gave its consent to cut wages by 35 percent in Eregli Iron and Steel Factories (Erdemir) a steel maker located in Turkey’s Zonguldak Province on the Black Sea. 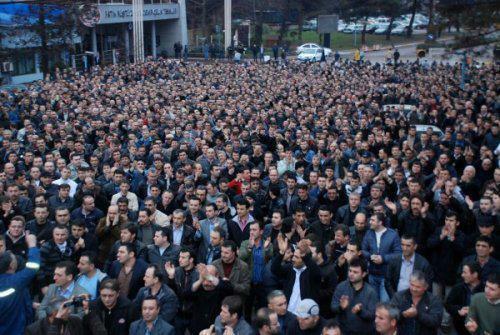 On April 20, some 1,000 angry metal workers from Erdemir, stormed the branch office of Türk Metal and occupied the office for an extended period, demanding information regarding the union’s ongoing talks on concessions with company management. In addition to acting as an enthusiastic partner of the employers’ destruction of the living standards of metal workers, the recent history of Türk Metal has been marked by several scandals that illustrate the corruption and criminality of this phony workers organization and its intimate ties to fascist and paramilitary outfits. In 2009, a former leader of the union, Mahmut Tasdemir, alleged that the union’s leader at the time, Mustafa Ozbek, (current President of Türk Metal, Pevrul Kavlak was a deputy of Ozbek) had cooperated with a paramilitary force, Jitem, accused of organising death squads, to retain his control over the union and apply pressure on workers. Later, Ozbek was arrested following a police raid as part of the investigation into Ergenekon, a clandestine paramilitary-political conspiracy. Tasdemir also charged that the illegal secret unit had held meetings at union headquarters. Ozbek is a good example of the extent of the corruption of this so-called union. His private fortune is staggering, rivalling those of many corporation owners. From a background in poverty, he managed to accumulate enough wealth in his 34 years as a union leader to become the owner of five-star hotels in Ankara, Didim and Cyprus, as well as ART television and the Baha news agency. He also owns a 40 percent share of the staunchly Kemalist Cumhuriyet daily newspaper. 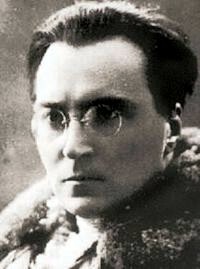 The history of the current president of Türk Metal, Kavlak, is similar in many respects to Ozbek’s. However, unlike Ozbek, after the Islamist AKP (Justice and Development Party) government managed to hammer the Turkish Military as the last bastion of the pro-Western so-called “secular” wing of the Turkish bourgeoisie, Kavlak changed sides and for more than a year Türk Metal’s publications are full of pictures of incumbent prime minister of Turkey, Recep Tayyip Erdogan. Is it possible to say that after almost two decades of stagnation, the Turkish working class is taking the stage of class struggle? Can this revolt of metal workers against the corrupt Türk Metal bureaucracy create an electrifying impact on major sections of the working class? Can we expect to soon see a new awakening of the Turkish proletariat? * All negotiations with employers must be open to the democratically elected representatives of rank file workers and not just union officials. End all secret negotiations between the union and management. * Workers' representatives must have the right to audit, check, verify and examine all financial accounts of the union whenever they deem it necessary. *Union leaders must be able to be recalled on the demand of one-fourth of the rank-and-file members. * Union leaders’ wages and other material benefits must not be more than average workers’ wages and benefits. * Demands for a new round of collective bargaining negotiations must be decided by the workers themselves. Any changes that will be made regarding these demands must be undertaken by secret ballot of rank-and-file members. *Launch a criminal investigation into the ties of leading members of Türk Metal with paramilitary and fascist groups. Those found guilty of initiating attacks on workers must be brought to justice. 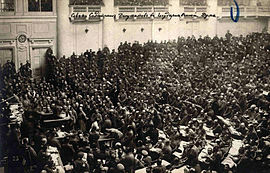 A worker’s commission of inquiry should be established that is independent of the police and the corrupt state judiciary to report on the activities of those union leaders at Bursa and elsewhere who have collaborated with fascists and enriched themselves on the backs of the working class. * The Turkish working class should join in solidarity actions with workers throughout the Middle East and Europe in common actions against the destruction of living standards orchestrated by the international consortium of banks and businesses and their political spokesmen as they attempt to make the working class pay for the crisis of capitalism. On Wednesday, Oyak-Renault management dismissed 23 Birlesik Metal-İs members for joining an illegal strike. 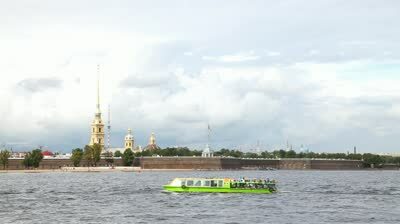 In the morning while trying to clock-in the 23 were denied entry to the site. Additional dismissals can happen soon. According to rumours circulating around the plant another 25 workers could be sacked at any time. 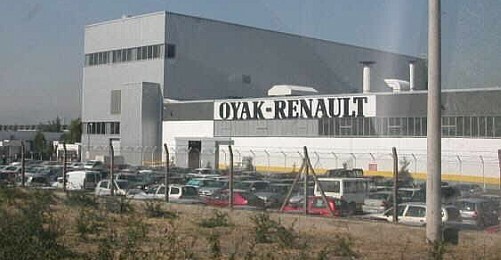 This retaliation by management against workers protesting the actions of their union clearly shows the intimate ties between Oyak-Renault and the Türk Metal bureaucracy. The sacked workers claim that on the day of the protest management repsentatives explicitly warned them not to protest against the Türk Metal deal. Workers are also claiming that Türk Metal leaders are making up the lists of workers to be victimized. It is of course no accident that the 23 workers who were dismissed were the leaders of the protest. As Marxists we stand in solidarity with those workers who want Birlesik Metal-İs to represent them. We call for the reinstatement of the 23 sacked workers, an end to the campaign of intimidation, and for Oyak-Renault to respect the right of its workforce to select a union of their choice. We insist that Birlesik Metal-İs provide assistance to the 23 sacked workers. These workers and their families should be supported with the sizeable resources at the command of the union. We call upon Birlesik Metal-İs to take concrete actions to mobilise international support and solidarity for these workers. The only way to take on multinational companies like Renault is to organize the working class internationally in solidarity actions that cut across national borders.